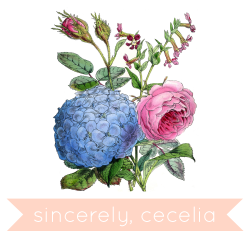 first thank you cecelia for asking me to participate in such a great series! i love seeing how others keep their nightstands and what kinds of things they keep next to them. my nightstand got a little makeover a few months ago when i added the faux bois treatment on the top of it. i love the way it came out and i can't wait to try using the technique on other things around my apartment too. the lamp was just a target find, its kinda large for the area but it will have to do for now. the boxes were from the craft shop that needed an update with paint, they hold things like lipgloss and hair things and keep my table kinda organized. the paper mache tray was another diy project, seems like i have alot of those here :) this is just how my table looked today, it changes day to day and is messy most of the time, but for cecelia i decided to clean it up a tad. thanks again cecelia and i cant wait to see what other bloggers nightstands you have to share! check out lindsay's blog here! Thanks again for asking me to be a part of such a fun series! i need to make some of those boxes! Lindsay's nightstand is as pretty as her blog!